The cutlery by Villeroy & Boch: the experience and attention to detail of this brand guarantee original and always new products. And from the wisdom and experience acquired by a prestigious brand such as Villeroy & Boch, is born the steak cutlery of the Piemont line, which is composed of 12 pieces. Villeroy & Boch has always produced all the items necessary for setting up your table in an impeccable way: it especially focuses on the design of cutlery, in order to offer several collections to meet classic, traditional or modern tastes, to satisfy all its customers. In addition to the canonical cutlery sets that are available in many different styles, Villeroy & Boch also produces special cutlery like ice cream spoons, vegetables or fish cutlery and much more. All cutlery is designed to its best and therefore they can be easily combined: nothing is left to chance. 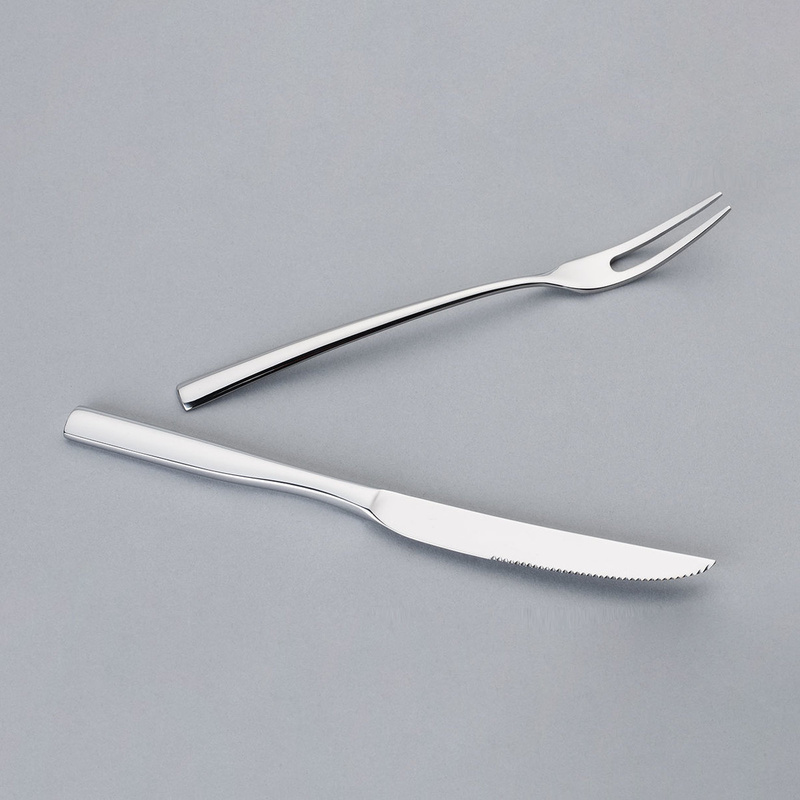 The steak cutlery Piemont is a set that goes far beyond the classic fork and knife pair: in fact, besides being original and refined, it is studied in detail to satisfy the customer and perform its specific function. 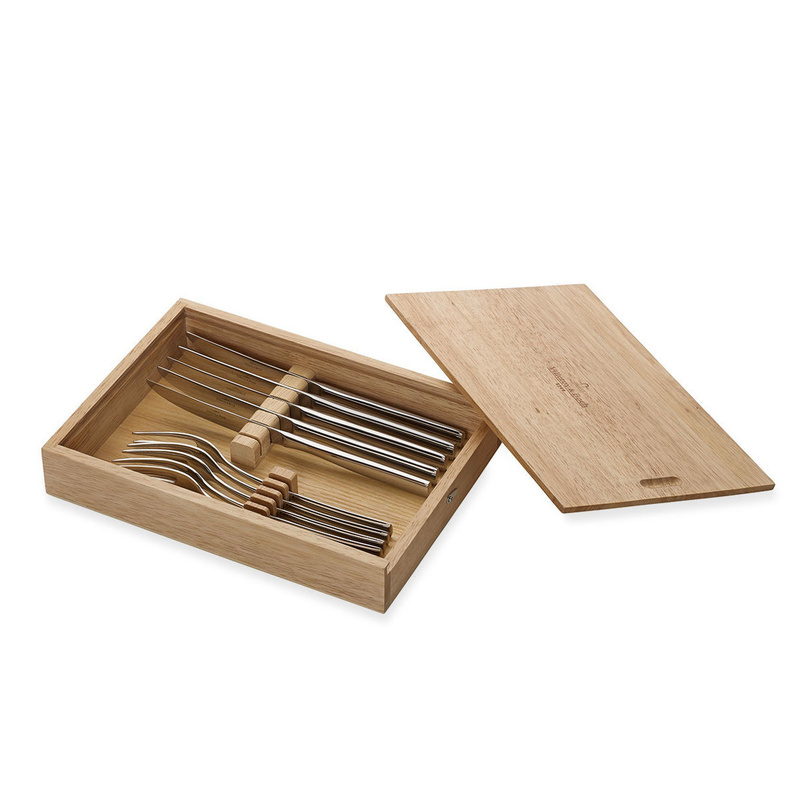 The service consists of six knives and six forks specifically designed to emphasize the taste of meat. The knives are 22.5 cm long and the forks measure 20.6 cm. The choice to use stainless steel meets the requirements of quality and reliability of the most demanding customers: a resistant material to chemical agents, fats, acids and rust. 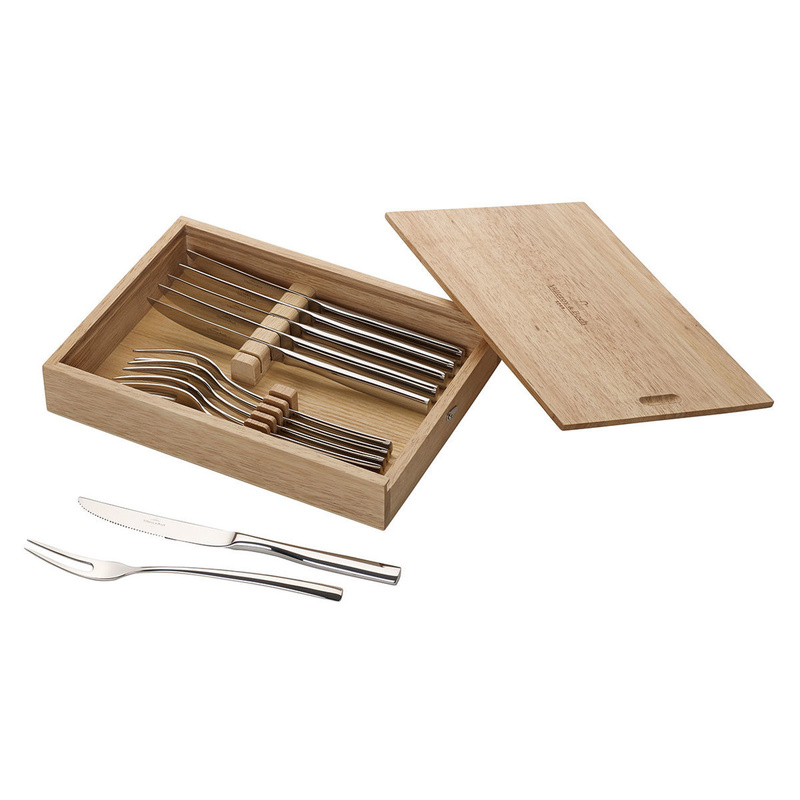 The stainless steel resistance allows makes this cutlery dishwasher safe. If you wash by hand, we recommend using a non-abrasive sponge to keep the shine of the surface. A great advantage of the Piemont steak cutlery set is its lightness: each piece weighs only 0.843 kg. The classic design of this cutlery set responds to the concept that form follows function: the knives have an ergonomic handle reinforced with steel, while the blade has a slightly rounded tip for a greater safety. The forks have only two prongs and have a simple and essential line.